MONEO remembers supplier item numbers, packing units and minimum ordering quantities, so creating purchase orders takes less time. MONEO will help to compare prices and delivery conditions of multiple suppliers so that you can choose the best conditions. Purchase order status and terms. Purchase order planned delivery date. Automatic purchase order creation based on inventory. 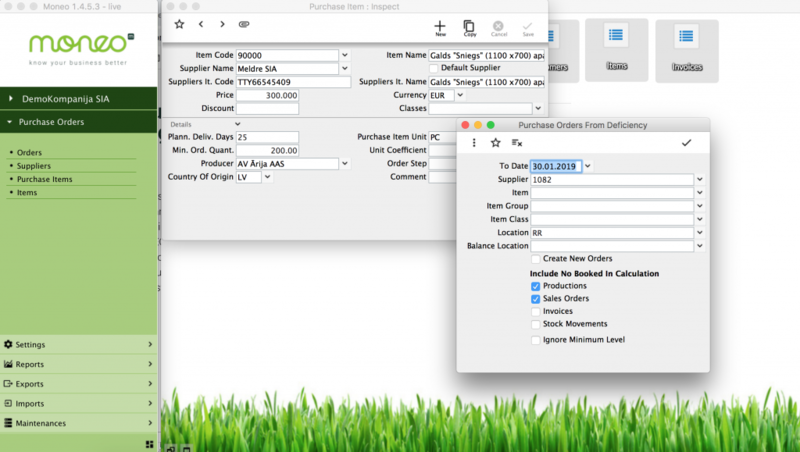 Automatic purchase order creation based on production orders. 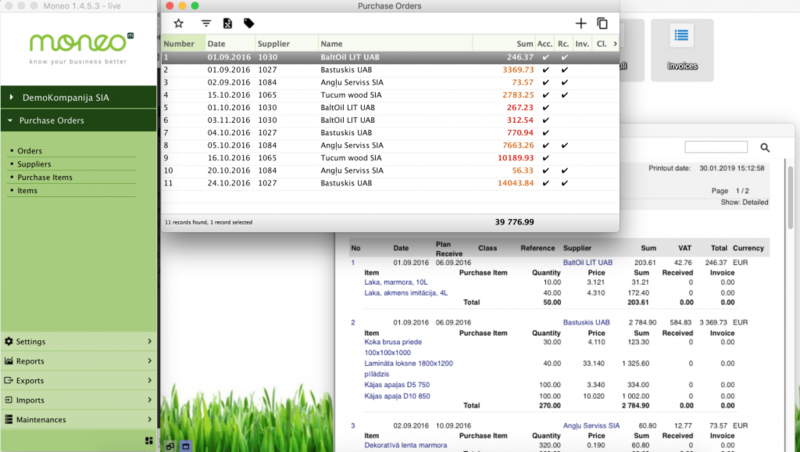 Automatic purchase order creation based on sales orders. Prepayments to suppliers, prepayment history and balances. Supplier item code linking to your internal item codes. Open purchase invoices by due dates. Payment date and terms control. Partial payment and prepayment history. Item prices from multiple suppliers. Price and cost control on delivery. MONEO purchasing functionality is integrated with sales orders, production and inventory management, so purchase orders are created based on the most up-to-date item information.